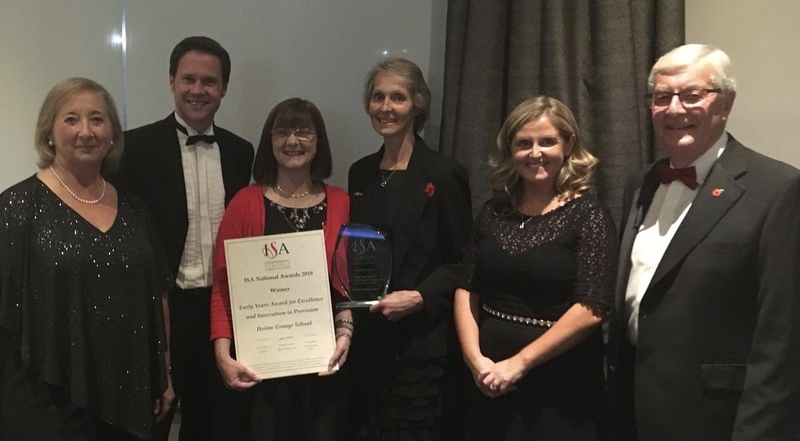 At a glittering gala dinner Holme Grange School, Wokingham were announced as the National Winner at the Independent School Association Awards for their Excellent and Innovative Early Years Provision. The whole School community are proud that the work they have been doing has been recognised by this prestigious award, recognising the best of Independent education across the country. ISA report that this year saw a 20% increase in nominations with awards being hotly contested with winners presented with their awards by Danny Crates, a Paralympic gold medalist.